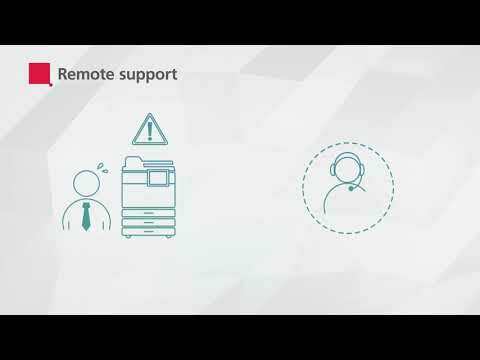 RICOH Intelligent Support encompasses our sophisticated service and support platform – a powerful combination of always-on device intelligence and fast access to support when you need it. Turning traditional customer support on its head, RICOH Intelligent Support offers a continuous, pro-active service that helps keep your device working around the clock. Rather than stepping in to assist after a problem develops, this extraordinary platform works full-time to anticipate issues and help prevent them arising. Using state-of-the-art technology and data analysis, RICOH Intelligent Support continuously monitors the internal workings of your device so it’s more resilient and reliable than ever, delivering superb non-stop performance. But if issues do arise, our array of online support resources are available to help fix problems straight away. So from the minute your Ricoh device arrives, our comprehensive maintenance service is there, giving you peerless protection and care. Discover how this integrated support and service platform works to maximise your device uptime and performance, with much of the maintenance management taken care of without you even needing to know that it’s happening.